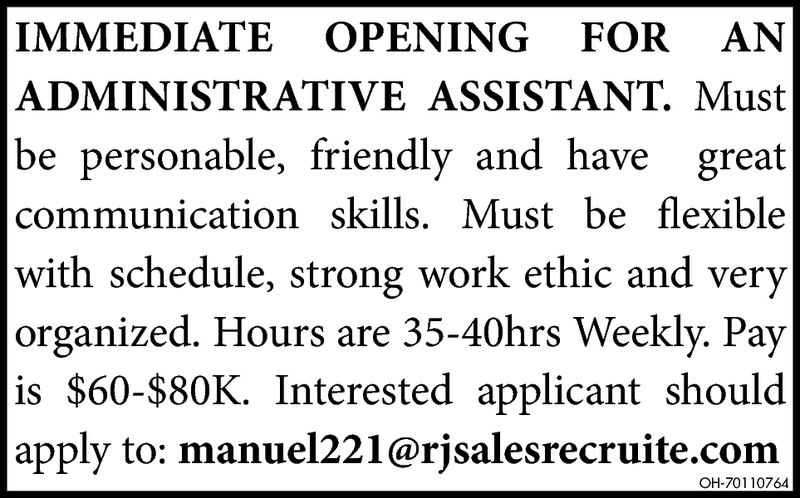 IMMEDIATE opening for an EXECUTIVE/PERSONAL ASSISTANT. The ideal candidate will be polished and professional as they will be speaking with external contacts. They will have a high sense of urgency and be very detail-oriented. This position requires a willingness to go with the flow, learn on the fly and to work unsupervised at times. It is essential candidate be able to juggle multiple projects and deadlines at once, show initiative, intuitively anticipate the needs of the office, and maintain a strong sense of attention to details.